The physicians of Pennsylvania Gastroenterology Consultants (PA GI) will maintain an ongoing record of all of your visits with documentation of your symptoms, physical examination, test results, diagnoses, and treatment plans. This information is your electronic health record (EHR). It serves as the basis for planning and communication of your care within PA GI and with other health professionals of your choice. 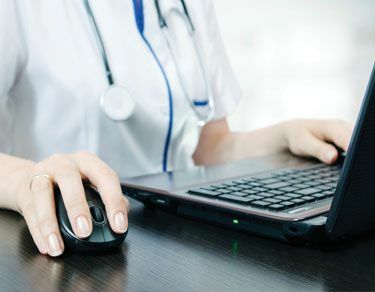 Pennsylvania Gastroenterology Consultants and Digestive Disease Institute have been on the forefront of EHR use since 2005. We continue to advance the effectiveness of our EHR, consistent with the latest federal government recommendations for improving patient care and safety. Your health record is the property of Pennsylvania Gastroenterology Consultants; however, you have certain rights to your health record. You may request a printed copy of your Health Information Portability and Accountability Act (HIPAA) form. In compliance with HIPAA, you may request a copy of your health information at no charge. You may request that we amend your health information, request an accounting of disclosure, make communication directives, and revoke disclosure authorizations for disclosure of health information. Pennsylvania Gastroenterology Consultants values your privacy. You may file a written complaint to us or to the Secretary of Health and Human Services if you believe your privacy rights with respect to confidential information in your medical records have been violated. All complaints must be in writing and must be addressed to the privacy officer (in the case of a complaint to us) or to the person designated by the U.S. Department of Health and Human Services if we cannot resolve your concerns. You will not be retaliated against for filing such a complaint. More information is available about complaints online at the government’s website.